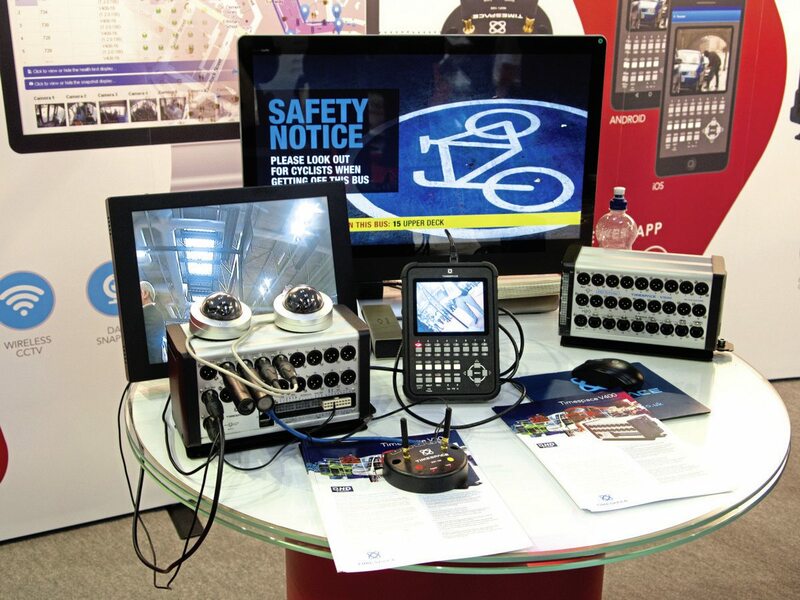 With its usual display of transport equipment was 21st Century Technology, and perhaps one of the most exciting devices on its stand was Smart-Vision, a rear-view camera monitoring system. The technology replaces the rear-view mirrors with a camera and interior display. The system is intended to avoid the sun and light glare that mirrors can sometimes be subject to, as well as being designed to offer better visibility at night and in rainy conditions. It automatically adjusts to the light conditions and should also do away with lateral blind spots and the risk of collisions between the mirror and a pedestrian. A prototype of the product was on the stand during the show, with the full product launch scheduled for Busworld 2017 in Kortrijk, Belgium. 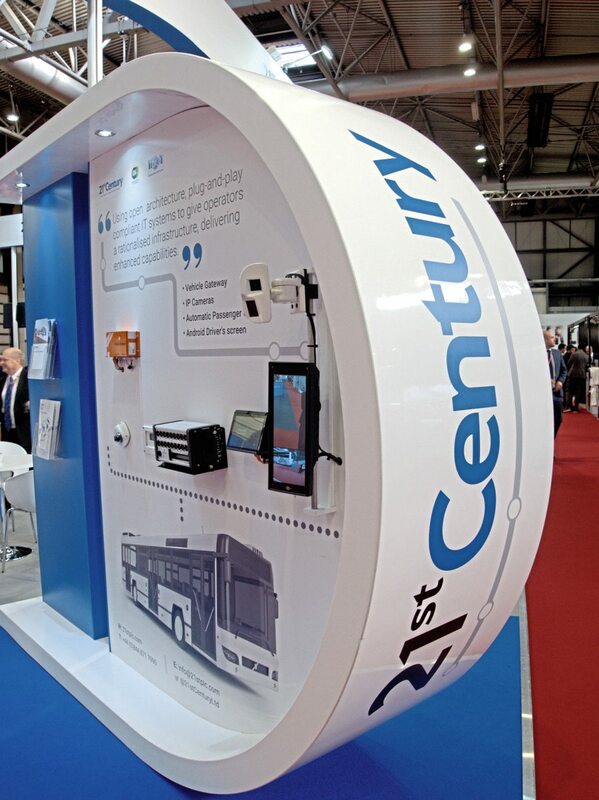 More news on 21st Century’s stand is the company’s win of a three-year contract to maintain CCTV and connected systems for Abellio. The deal is potentially worth £2.5m and involves supplying and maintaining this equipment for 900 buses in and around London. The technology specialist is to roll out Journeo, its remote condition monitoring (RCM) system. Real time passenger information from the company is being rolled out in Plymouth. It has also won the contract to maintain passenger displays for Transport for West Midlands (TfWM). The deal covers 600 displays in the region, including kiosks, rugged information displays and stretched screens at bus stops. Further to this, the company is also behind the UK’s first interactive touchscreen travel information point top go live. 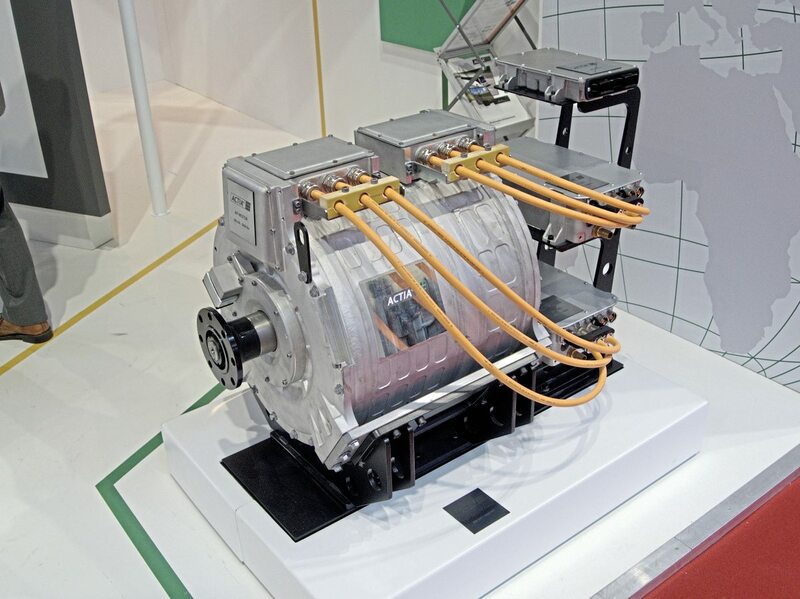 Visitors may have been surprised to find an electric motor suitable for electric bus applications displayed by Actia. It has been designed to be direct drive, requiring no gearbox, and to feature a high torque and power density, as well as optimised efficiency. It is intended for OE and retrofit. It can be combined with Actia’s electric vehicle control unit, which was also shown. 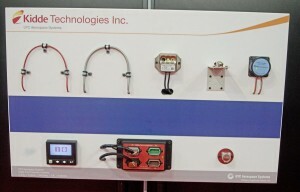 Elsewhere on its stand were examples of its multiplexing and dashboard technology. 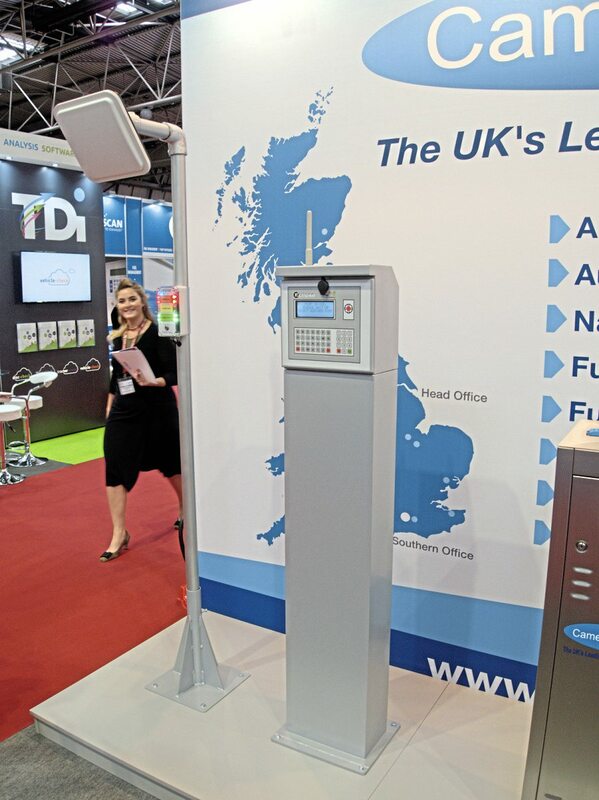 Teletag was the focus of Cameron Forecourt’s display. The system provides a hands-free, automated, fuel pump control solution, which is designed to remove the need for fobs, cards or manual data entry to identify vehicles. Each vehicle is fitted with a passive, long range RFID tag. As the vehicle draws up to the pump, the tag is read, the vehicle identified and if the tag meets the required criterial then the pump is turned on. The TeleTag Reader can be augmented by fitting a Jigsaw Fuel Guard unit to the vehicle so that the mileage is automatically transferred to the system, giving in a fully hands-free fuelling ID system. Alternatively, if the vehicle has a telematics system fitted, then the Jigsaw server can be linked to the telematics server via the internet to automatically recover the vehicle mileage. 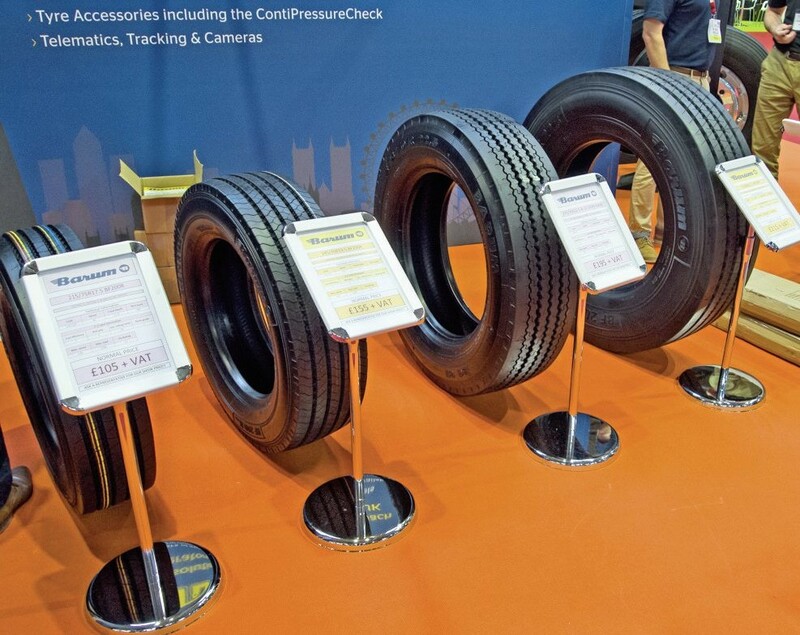 Continental Automotive showcased a number of new products at this year’s show. Perhaps one of the highlights was the VDO Digital Tachograph 3.0, its newest generation of digital tachograph that will become the pre-cursor to the smart tachograph in 2019. Greater functionality and more integration with App technology are the main advantages to this latest product. This was the first time it was exhibited in the UK. As mentioned in last week’s news section (see B&CB 1450, 6 October 2017), Eminox’s SCRT technology is the first approved technology for the Clean Vehicle Retrofit Accreditation Scheme (CVRAS). There was plenty of information on this on the company’s stand. However, this was not all the news from the emission reduction equipment specialist at the show. It also announced a new UK partnership with Amminex Emissions Technology, which sees the company work with the Danish clean technology business to supply an alternative to AdBlue system. The Amminex Ammonia Storage and Delivery System (ASDS) is designed to work at lower engine temperatures than an AdBlue based system, releasing gaseous rather than liquid based ammonia into the system. 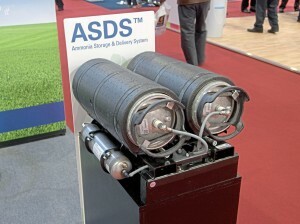 According to Eminox, the ASDS device has delivered “outstanding” NOx reduction levels in several projects, including a roll out of it on 300 buses in Copenhagen, which took the vehicles up to Euro 6 standard. Information and advice for what operators can do and should know for the upcoming ULEZ in London and LEZs and CAZs (Clean Air Zones) destined elsewhere in the UK. Fältcom Public Transport Applications was showing off its tiny solid-state ‘computer’ which – like modern smartphones – draws all coach and bus systems together in one place. The unit allows the operator to manage the fleet remotely from the comfort of the office, with a growing variety of applications to improve efficiency, saving the operator time and money. Using its core unit, the operator doesn’t have to wait for the fleet to return to the depot to retrieve and view valuable CCTV images, to transfer tacho data, or to check for defects. 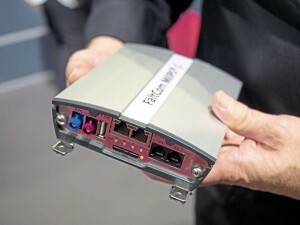 With over 160,000 global installations, Fältcom was showcasing how a single device, with a single SIM card, connected to a variety of onboard devices and applications, will change the way modern operators function. 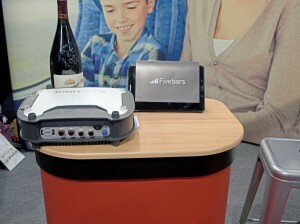 Presenting its mobile onboard wifi systems was Fivebars. The company is a telecommunications specialist. Making visitors aware of the new UNECE R107 regulations about to come into effect was Kidde Technologies. The legislation will make it so fire detection and compression systems must be fitted to all new buses by 2021. Further to this, another issue expected to challenge the fire suppression industry in the future is the growing use of electric buses in fleets. These propulsion systems have different fire issues compared to standard combustion engines, according to International Sales Manager for Kidde, Ian Winter. The flames tend to happen inside the battery cell, he said, which raises the issue of how do fire compression systems get inside them to put them out. 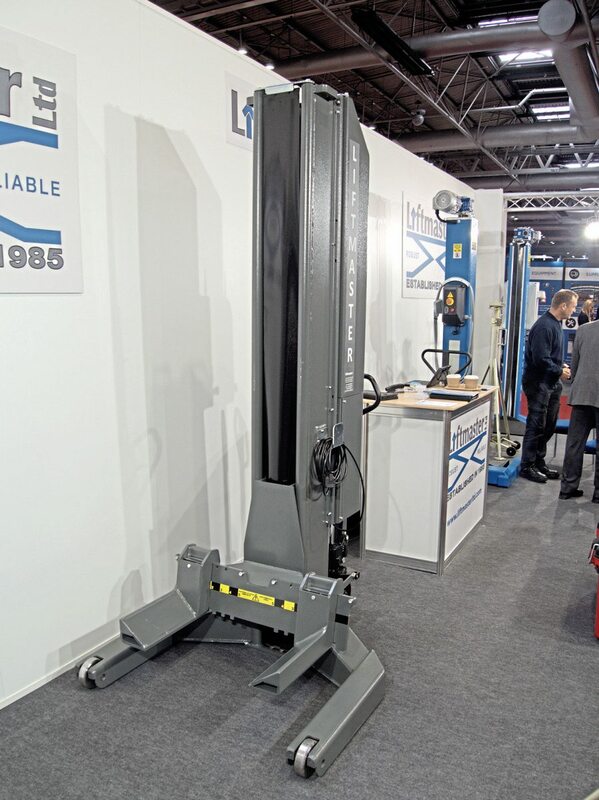 New on Liftmaster’s stand was a range of hydraulic wireless mobile column lifts, which were being offered at a special show price. It was also showing its LMBT 13 Brake Tester and the DVSA approved XL441 brake tester for ATF lanes. 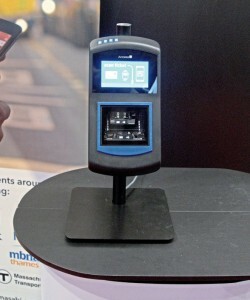 JustRide, a mobile ticketing and fare collection platform took pride of place on Masabi’s stand. The offering consists of three core parts, including an app that allows passengers to buy and display tickets on their smartphones. The JustRide Hub, which powers the platform, enables customer service requests, real-time data and analytics, as well as ticket management, fare updates, asset management and reporting. Finally, the Inspect Validation Suite, a device designed to scan barcode tickets, can also be configured for various fare payment methods, including contactless card payments. With an emphasis on safety, maximising efficiency in operation and encouraging driver engagement, MiX Telematics exhibited four key elements of its fleet management solution: MiX Vision, RIBAS, MyMiX and MiX DriveMate. MiX Vision is a dual road-facing and driver-facing video image recording system. RIBAS forms part of the Telematics Fleet Manager solution and features a dashboard-mounted display unit with an array of green, amber and red status lights, indicating to the driver their performance. MyMiX is a portal for drivers to access their own driving data and see how they are performing against site averages for key statistics, whilse Drive Mate is an in-vehicle display unit designed to help improve performance out on the road. Nottingham City Transport (NCT) is a recent adopter of MiX’s products, equipping over 300 vehicles in its fleet with MiX Telematics Fleet Manager solution in an effort to enhance passenger comfort and safety while improving efficiency in operation. A recent development at Mobile Onboard is its Beam SmartLINK real time passenger information system. The company, known for its onboard wifi, provided a preview of the technology that provides users of an app with real-time information on bus locations, times, journey planning and disruptions. It integrates with My Mobile Tickets, the business’s mobile ticketing platform. It can also be fed into display screens at stops and onboard vehicles. The new feature is due to be released next year. 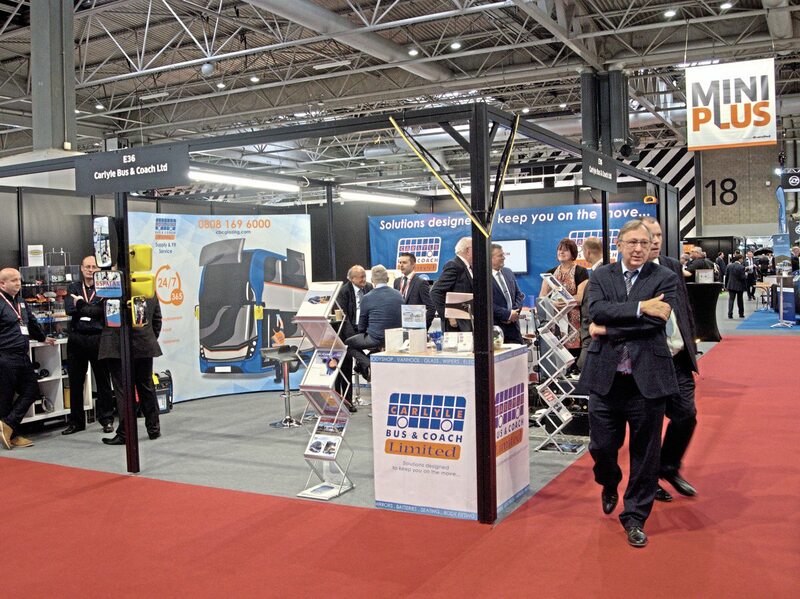 A range of ticketing and payment equipment for fleets were displayed by Parkeon. 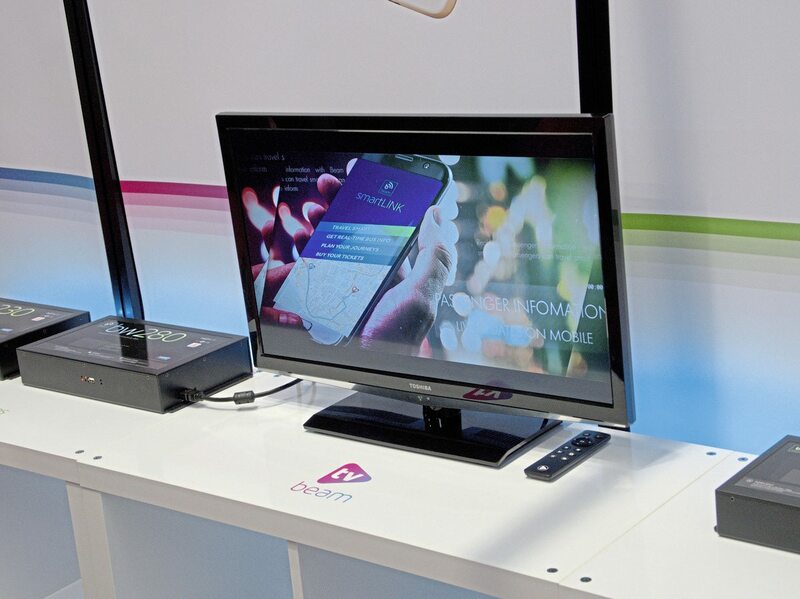 A focus on the company’s stand was the way towards frictionless travel, with equipment for EMV to new retail platforms and cloud based back-office architectures. Information on the company’s partnership with Timespace Technology was available, which sees its systems integrated with the other business’s CCTV products. Contactless ticketing systems was another theme of the stand, with the company’s new Wayfarer 6S on show, which combines its Axeo contactless card reader with the Wayfarer 6 ticket machine. 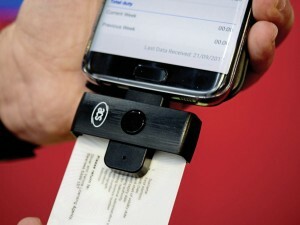 The device can read all forms of contactless cards and other payment options. The new model is due for trial in the first quarter of next year. As well as a number of its cash handling devices, Scan Coin was also promoting the fact its branding is changing to Suzohapp, the name of its new owners. One of the products on show was the CDS-9, with note sidecar, designed to manage drivers’ banknotes, coins and tokens. Like all of its products, it can accept the new £10, £5 and £1 notes and coins. A video had been specially created for the display on Synectics’ stand. It highlighted how the company’s surveillance technologies can be integrated for the benefit of operations. This was joined by several examples of its devices. The business has appointed a new Regional UK Sales Manager for the South to support growth following a series of high-profile transport and infrastructure contract wins. With over 20 years’ experience working in the bus and coach industry, Jim Rogers is tasked with supporting Synectics’ transport proposition and develop its UK bus and coach client portfolio throughout the south. TDI were showing off a neat, keyring-sized download device which allows a driver both to download and analyse his tacho card. The authors of Disc-Check – the well-known tacho analysis tool for operators – have come up with a simple, tiny plug-in card reader with which the driver can interpret and upload data on the tacho card, explaining remaining driving hours, anticipated rest and adherence to the Working Time Directive. Not only is the card reader very small, plugging directly into the micro-USB or Apple socket on any smartphone, it folds up and can be attached to the coach’s keyfob, as it is not specific to any tacho card; the driver has his own six-digit PIN number. At £20, the device also has the benefit of uploading tacho card data directly to the operating centre, in real time, and dovetailing with Disc-Check. ZipTrip was one of the newest innovations from Ticketer. Among the tropical-themed surroundings of its stand, demonstrations of the m-ticketing app were being given. Every operator with Ticketer electronic ticketing machines can download the application for free. It brings together real time information, journey planning and m-ticketing (the ability to buy and use tickets on mobile phones) in one place. For mobile tickets, two options are available; either visual validation of tickets (showing a code on the phone screen that matches one on the ETM) or QR code validation (with the code scanned by the ETM). 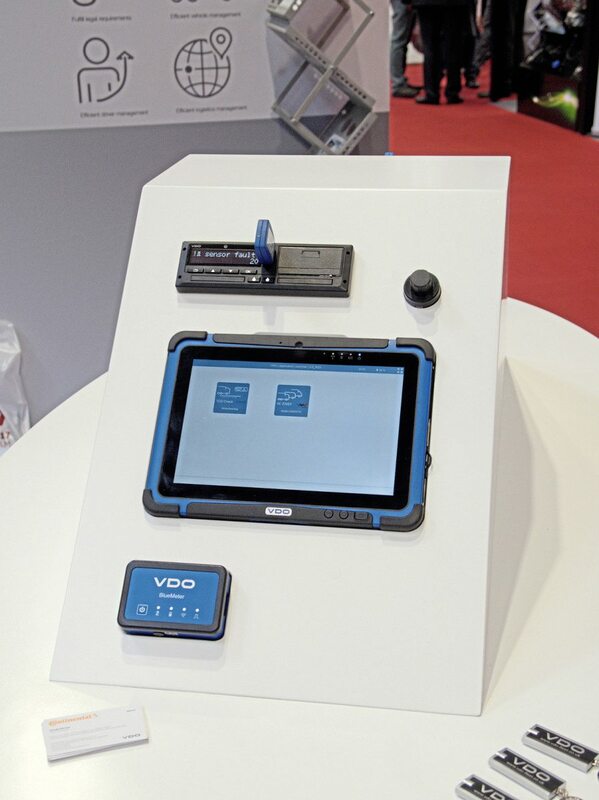 A number of Timespace Technology’s newest products were displayed, including the V500 hybrid recorder. This device offers 16 channels of analogue video, as well as eight of 1080P (HD) video. The latest upgrade of its PCLink CCTV management system now has an object-blurring tool, allowing users to blur faces on CCTV footage. A footage reviewing app is available, as well as a new standalone CANLink, which records and transmits vehicle CAN engineering data. There was also information on the upcoming LANLink V5.3.0 with Windows 10 support. New on TransMach’s stand was the Casio TM150 ticketing machine. Also on the stand was the company’s Casio TM396 portable ticketing device, as well as the Wayfarer 6 ticket sales unit. The portable Casio IT-9000 ticketing machine was shown, which is designed to vend paper tickets, smart cards, barcode scans and chip and pin payments. It is supported by web-based back office reporting and is based on the Windows Mobile 6.5 platform for mobile devices. Launched at the show by TruTac was the new CPT Daily Checks app. The app and management system has been designed specifically for the PSV sector in conjunction with the CPT. It covers first use and all daily driver checks with templates approved by the trade body. It should seamlessly integrate with CPT Tacho Analysis. Members of the Confederation receive discounts on Daily Checks and members who sign up to it at the show benefitted from an additional 20% price reduction on first year fees. Information on how the company is supporting DVSA on the Earned Recognition pilot was also available. With a video showing real-life footage of vehicles running out of control without their handbrake on were shown on Vision Technique’s stand. The company was demonstrating the danger of this error and promoting its solution to it, BrakeSafe. The system uses sensors to detect whether the driver is in their seat, automatically applying the handbrake if it is forgotten. A voice warning will also sound to remind the driver. It even activates if the vehicle ignition is off. The sixth generation of VL Test Systems’ software for garage equipment devices is being launched. 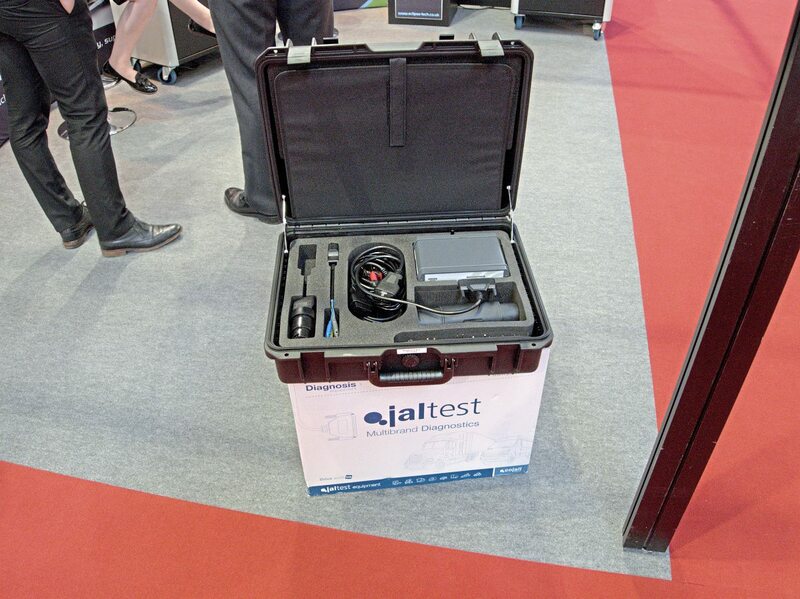 On its stand, it had various workshop devices, including brake testers and play detectors. The company has the skills, expertise and products to fit-out an entire fleet workshop from scratch. Acceleration limiting device, EconoSpeed Connect, was being promoted by Zeta Automotive. Through its work with Arriva, which owns the company, it has gained figures that show the technology generates fuel savings of 3%. The operator has the system installed on its entire UK fleet. Also, trials of the system at Millbrook have shown that when an “aggressive” driver is behind the wheel of a bus, fuel savings of up to 5% are achieved by it. 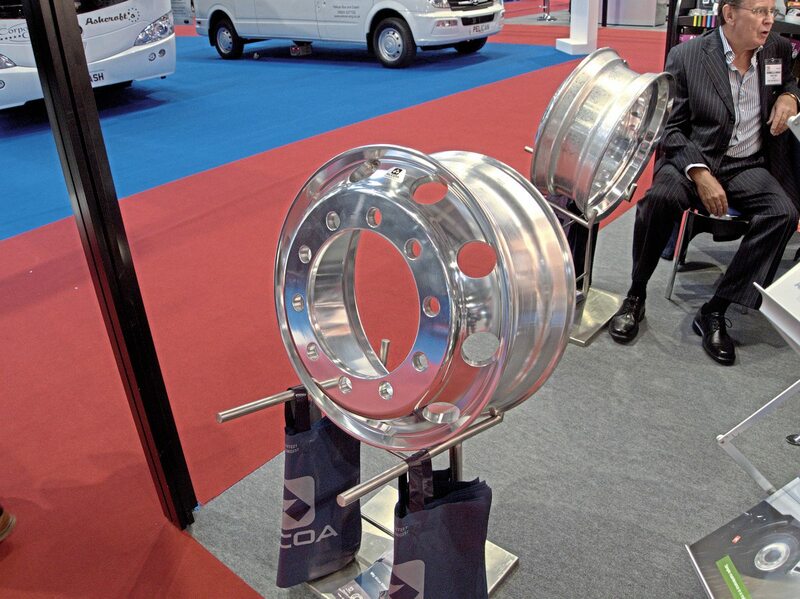 Examples of Alcoa’s aluminium wheels were shown, as well as a few samples of the company’s specialist wheel cleaning equipment and consumables. Alfatronix may have been a familiar brand to many visitors to the show, with its name emblazoned on the handy carrier bags handed out at the entrance. 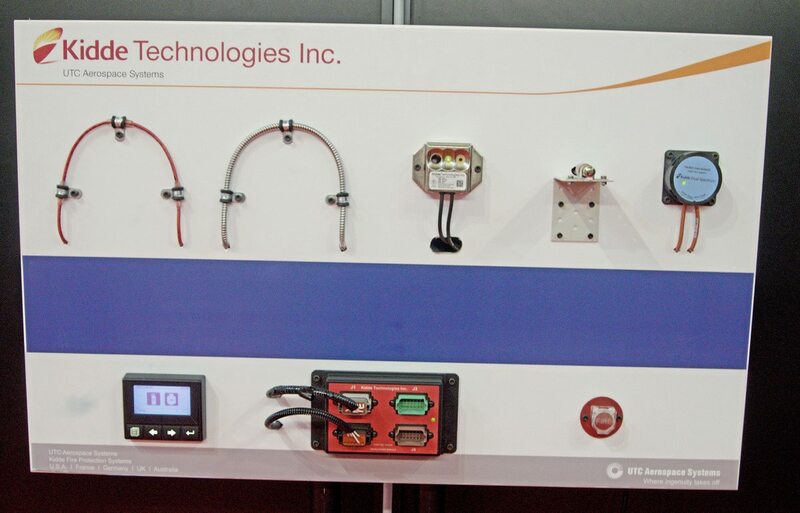 The elecrtrical equipment specialist had an array of its products on its stand, including its USB sockets. These can feature branding and customisable messages, helping the sockets fit in with the fleet livery and provide additional marketing opportunities. For instance, Nottingham City Transport has these installed on its gas powered buses, with each featuring a “powered by gas” message. They also feature LEDs to make them even more eye catching. The new Caetano Levante III at the show features these devices. 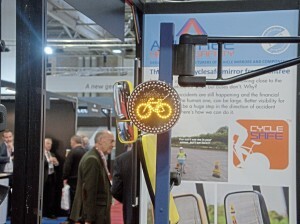 Gaining the most interest on Ashtree’s stand was its twin lens mirror. The device can be OE or retrofitted to vehicles, designed to solve blind spot issues. 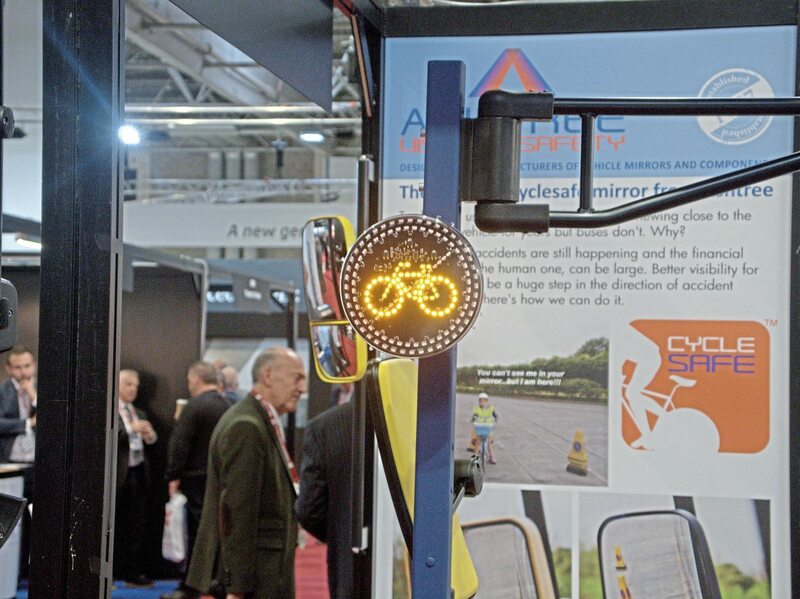 Perhaps catching the eye of some passers-by was a flashing cyclist warning sign from the company, which activates when indicators are switched on, warning cyclists when the coach or bus is about to turn. A host of fabrics, from flooring to walling, were displayed by AT Industries. Among them though were examples of Spradling’s materials. The company has recently become the distributor for these products, which include a leather-like coated fabric, which has been designed to be more stretchy than leather. With a range of its various products on display was Carlyle Bus and Coach, from lighting to garage equipment. It was holding a competition, with those dropping their business cards into a draw being up for a chance to win free glass fitting. The company is currently extending its facilities at its headquarters, making even more room for its glazing section. Set to become a big issue in the coming years with the rise of LEZs and Clean Air Zones are exhaust afer-treatment systems. Involved in this area is Ceramex, which cleans Diesel Particulate Filters (DPFs). A sister company of Eminox, the exhaust system manufacturer, the business uses Xpurge DPF cleaning technology, designed to remove 30% more contaminents than conventional methods, according to the company. Stephen Green of Duoflex said that despite the growing amount of leather and synthetic leather being used to upholster coach and bus seats, moquette is still the most widely used material in the industry. 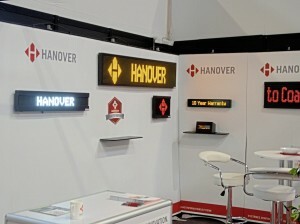 That was certainly evident on his company’s stand, which was bedecked with numerous examples of the business’s trimming expertise. Flatweave is another popular fabric that Stephen has been asked to do more work with. White LED lettering on destination displays are becoming more popular than amber, according to representatives on Hanover’s stands. The specialist in this equipment had several examples of its products in this area on its stand. Among them though was a TFT screen for onboard passenger infotainment. There are a number of back-end developments happening with its products lately, such as the interfacing of the displays with ticket machines. 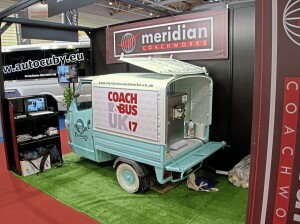 Those looking for some cooling refreshment at the show need not have gone any further than the Meridian Coachworks stand. 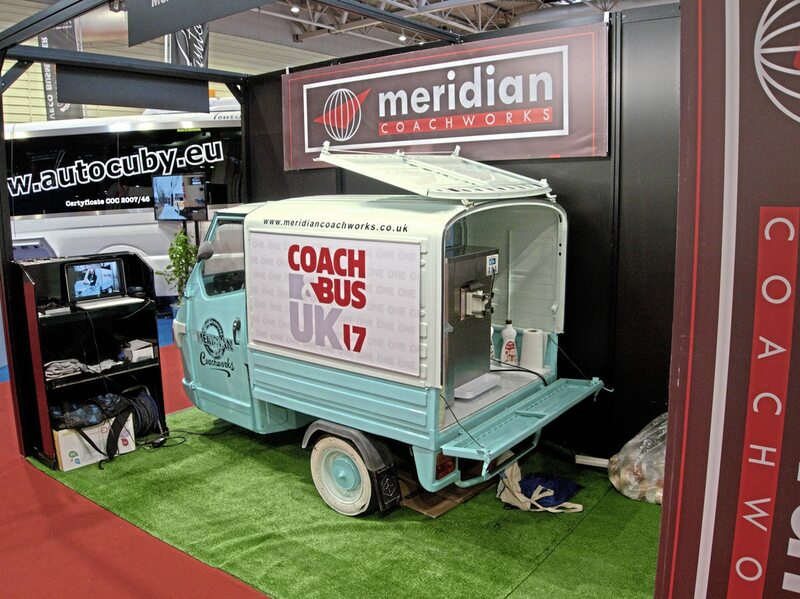 The team was handing out ice cream from its specially converted Tuk Tuk. There was also a postcard-style cut-out for visitors to pose in and have their picture taken. Presenting a large stand bearing its recently refreshed branding was Parma Industries. Its wheel safety equipment gained most interest on the stand, whilst a manikin demonstrated some of its workwear equipment. 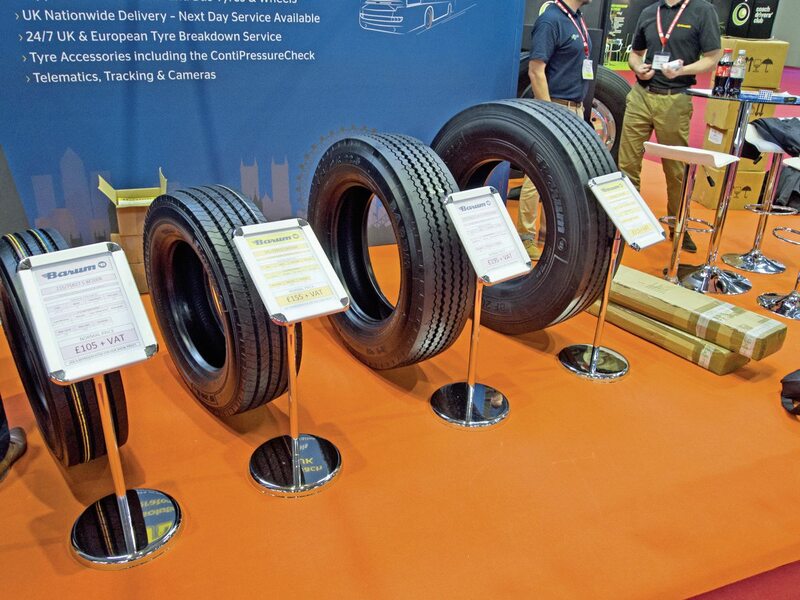 With just a few of its extensive range of tyres on show was TD Tyres. It was promoting the fact it provides the new Barum range, a brand owned by Continental. 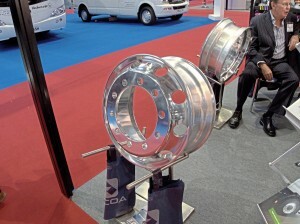 The business provides alloy wheels too, as well as the ContPressureCheck tyre pressure monitoring system. The technology is designed to be economical, helping keep fuel usage down and to maintain the value of the tyre casing. It is also intended to be easy to install, with sensors fitted on tyres. Further to this, the company’s tyre breakdown service was promoted, completing the company’s line up of wheel related products and services. Gleaming from afar were the wheeltrims from Wheel and Motion. The family-owned company has over 35 years of experience designing, manufacturing and supplying the Euroliners range of wheeltrims. The company was also handing out its brand new product guide, which was designed by Bus and Coach Buyer’s in-house design team. The brochure features the various ranges and accessories available. Clockwatcher Elite, the updated version of Aquarius IT’s Clockwatcher tachograph analysis package, has gained much positive feedback, according to the company’s Liz Haselden. The new software has a clear focus on integration from alternative sources, intended to provide a seamless view of information. It provides one source to manage tachograph data, daily driver defects, maintenance of these defects and licence checks. Having only launched at the start of this month was Buskeeper from Capte. The solution includes hardware and an online platform allowing users to gain a real-time overview of their fleet, including alerts for drunk-driving attempts, illegal bus starts and cardless tachograph driving among others. It can also be used for the remote downloading of digital tachographs, GPS tracking, passenger information (integrating with Zenbus app to achieve this) and scheduled for February 2018, a feature for fuel management. A fresh entrant into the industry at the show was eValuate. The fleet management package can be used to provide better efficiencies across the business. It features an Interactive Training Matrix, which constantly updates and notifies its users with relevant training information to cut down on administration time and cost. The system is designed to enable buyers and subcontractors to clearly communicate and present information instantly and remotely reducing administration time and costs. The eValuate Document Store is designed as a secure place to file essential documents and have them verified as they are uploaded. eValuate’s Operations module has been created to reduce cost and increase the efficiency of a business by providing real-time tracking of jobs and their specific tasks, alerting you if tasks are behind schedule. There are other aspects to the modular system, meaning it can be tailored to individual needs. Demonstrating its fleet maintenance solutions was Freeway. The system has been developed in association with operators, including Tower Transit, Abellio, Reading Buses and HCT. Its capabilities include stores management, purchasing, planned maintenance, defects and keeping track of safety and compliance. A new feature of it is a drivers’ walk-around check app, which automatically logs the driver and route details into the ticketing system. A new training offering was one of the hot topics on Omnibus’s stand. The timetable scheduling software specialist has recently acquired the rights to carry out operations scheduling courses. The company’s MD, Peter Crichton, said there is a definite need for training in this area, with those currently skilled in this discipline now starting to retire. In addition to letting passengers know about this, members of the Omnibus team gave demos and explained its software systems, such as OmniTIMES, OmniBASE, OmniROTA and OmniMAP. Coach software specialist Roeville was demonstrating PHCloud, a private hire quotation, booking and management system which is available from any computer. The gradual migration of complex programming, previously resident on users’ computers and servers, to ‘the cloud’ ensures no data has to be backed up or can be lost, while operators do not need to manage programming updates. PHCloud handles quotations based on the operator’s fleet taking into account the real running costs. Peter Roe, MD, told B&CB that the browser interface is very visual, simplifying the process of gathering pick-up points – identified on industry-leading HERE mapping – and ensuring all required information is input before creating a detailed custom quote which is emailed by the system to the customer. PHCloud can be used to compare previous hires and quotes, and provides a complete diary function so the operator can get a visual picture of fleet usage. It is proving particularly popular with small-to-medium sized operations, who need no hardware infrastructure and for whom the system is very economic: “And, of course, the system can be used remotely, when the operator is off site – a very common situation for some operators,” said Peter. Roeville is currently working on a web interface for direct hire quotes. Pride and Joy Clothing officially launched the All Stars awards at the event, celebrating the next generation of coach and bus talent. The awards recognise the talent of the up and coming industry professionals, aged between 16 and 25 and are run in conjunction with Bus and Coach Buyer magazine. 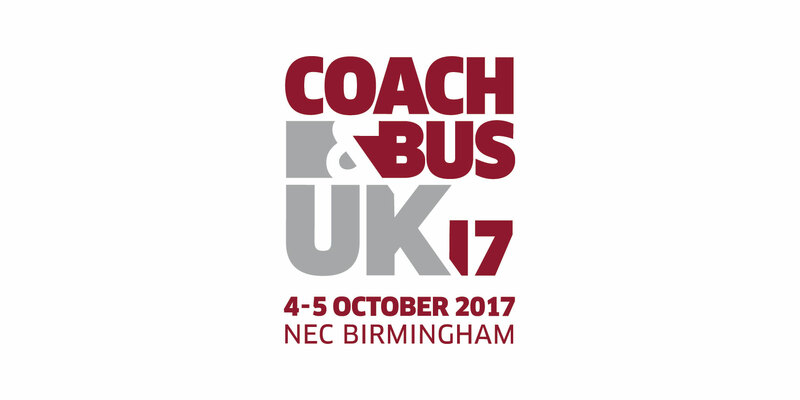 Operators can nominate their rising stars and a judge from both businesses will select a winner each month, which will be featured in Bus & Coach Buyer magazine. Submissions have already been received, testament to how operators value their young workers. Soft shell jackets are proving popular currently for Uniform Express. Another trend is for younger drivers to go for the polo shirts rather than shirts, with the former not necessarily requiring ironing. 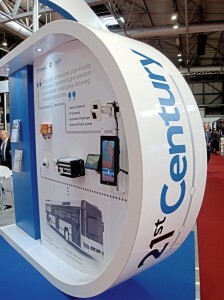 An example of Kinchbus’s and Reading Buses’ uniforms were displayed, demonstrating the company’s design capabilities. Now in its tenth year of business, CMAC provides a managed solution to planned and emergency passenger transport. Operators sign up to be featured in the company’s bank of vehicles open to the work it can provide. It often covers rail replacement work and has also recently helped during the collapse of Monarch Airlines. If you see or hear something that could be terrorist related, ACT on your instincts, was the message from Counter Terrorism Policing. The group is an alliance of UK police forces working closely with security and intelligence agencies to prevent, deter and investigate terrorist activity. It has launched a campaign, Action Counters Terrorism (ACT), to help convey its message. Buses and coaches are considered a potential weapon/target for terrorists, hence the group’s presence. Paul Widdowson from Dipetane said the show went “very well”. The company provides a hydrocarbon liquid fuel treatment as opposed to an additive. Paul said there was big news on the stand in the form of a successful trial of a Euro 5 lorry, which achieved zero particulate matter emissions. He reported that several existing customers visited the stand and he was able to make a few new contacts too. Fuelcard supplier, DKV Euro Service, has been keeping a close eye on the development of alternative fuels. This is an area it can evolve to supply, according to Sales Team Manager, Neil White. Another area it has been focusing on is a common question its customers pose it: When is there going to be a single fare box that deals with tolls across the whole of Europe? In the second half of 2018, it is due to release its UniversalWETS box that covers various tolls across the continent, which Neil said is one of the first steps towards creating a single box for the whole of Europe. Getting the word out there of its provision of used engines and spare parts was F&J Exports. It has built up an extensive stock system, focusing on the most in-demand engines and components. The aim is to have the part required in stock and be able to supply it next day. It was handing out brochures comparing new price data for parts compared to its quality used genuine components, which detailed a Volvo D7E camshaft assembly (£3,000 new, with a 14-day lead time for delivery), which from F&J Exports would be £1,250, with a lead time of one to three days. 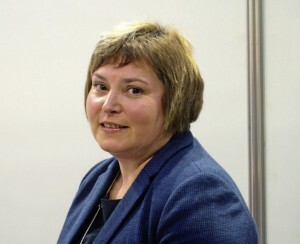 Promoting itself at the show was Pelly’s, the transport law specialist. The company has over 30 years of experience in the sector, covering the whole of England and Wales. There to meet existing clients and perhaps a few new ones was Unicorn Underwriting. Specialising in the coach and bus, as well as motor fleet industries, the company prefers the personal touch when it comes to meeting clients, according to Assistant Underwriter, Lisa Pegram. It underwrites £12-15m of business per year.